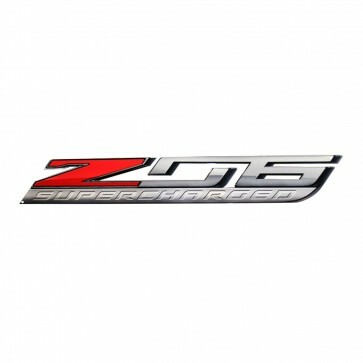 This “Z06 Supercharged” metal sign is the perfect addition for your home, office or anywhere you show your Corvette pride. Beautifully crafted from 14 gauge metal, this premium three-dimensional looking wall sign is painted using a patented process that permanently bonds high resolution color graphics to custom-shaped metals. (2) pre-drilled holes for hanging. Made in the USA.